This recipe is really open to your interpretation. You can use just about any kind of fresh herb – I’ve used all kinds of parsley, different types of basil, thyme, green onion. Mix together different herbs for more flavor. Use dried herbs if you don’t have good access to fresh herbs. Cut back or remove the garlic if garlic isn’t your thing. 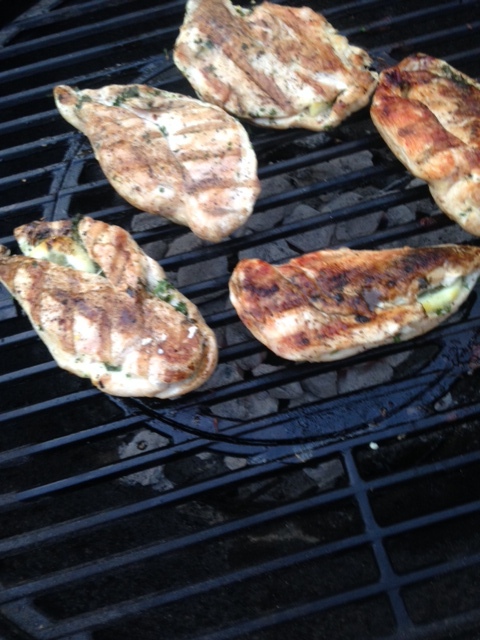 That’s the beauty of filling and grilling chicken! 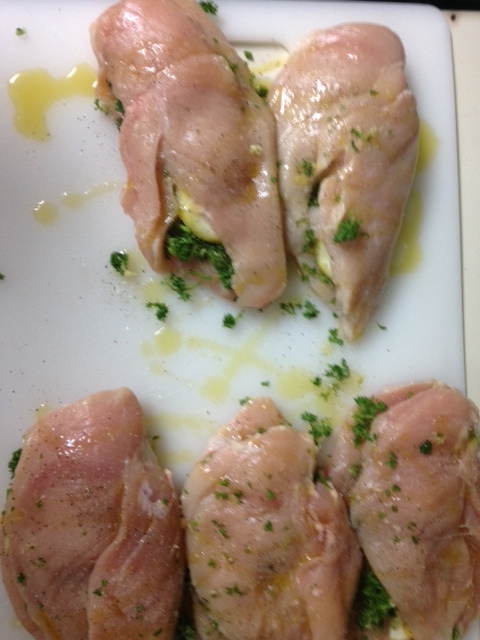 Remove any excess fat from chicken with a knife. Mix fresh herbs and garlic with your fingers in a small bowl. This mixture will be spread evenly between each piece of chicken. Set chicken on a cutting board, one piece at a time. 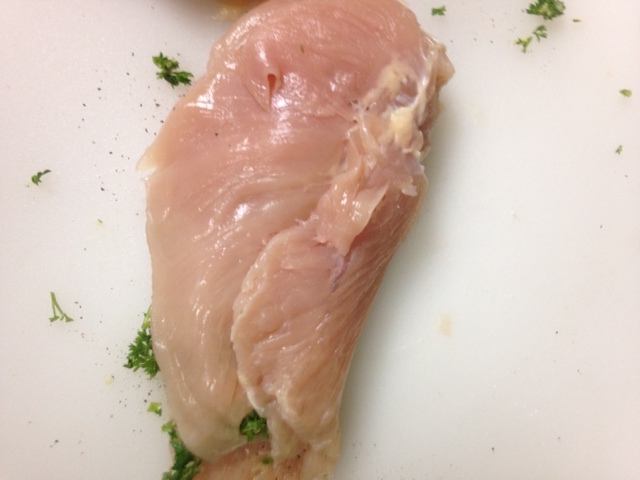 Using a sharp knife, slice into the center of the chicken, but don’t cut all the way through. Open the chicken like a book. Place a piece of plastic wrap over the chicken. 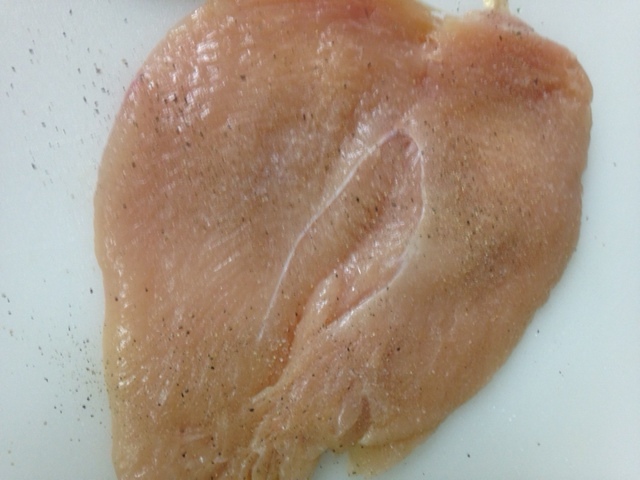 Pound out the chicken until it’s flat, but not thin, using the flat side of a meat tenderizer. Try not to pound it too much as it will tear the chicken. 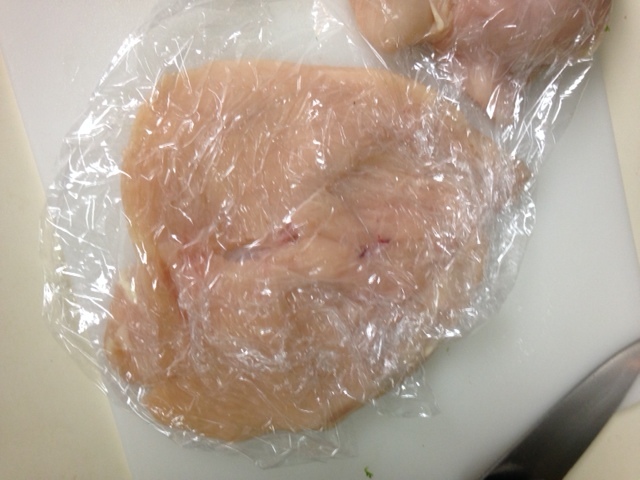 Set the chicken aside and re-use the plastic wrap for the next piece. After the chicken has been tenderized, salt and pepper the insides and outsides of each piece. 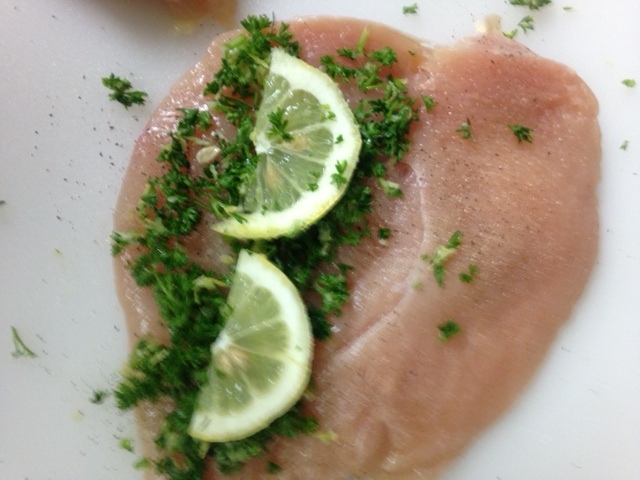 With your chicken open, place a portion of your herb and garlic mixture across one half of each piece. Place two lemon slices on top. Use more or less, depending on how much lemon flavor you prefer. Close each piece of chicken. I do not find it necessary to seal these with skewers or toothpicks; they generally stay together if you handle them gently. 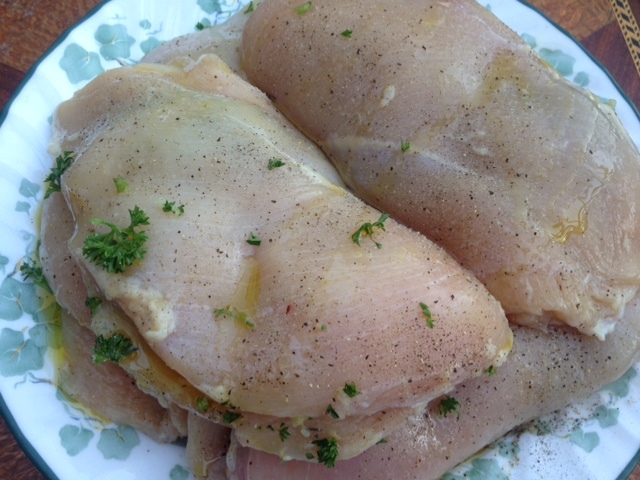 Drizzle olive oil over each side of your chicken. 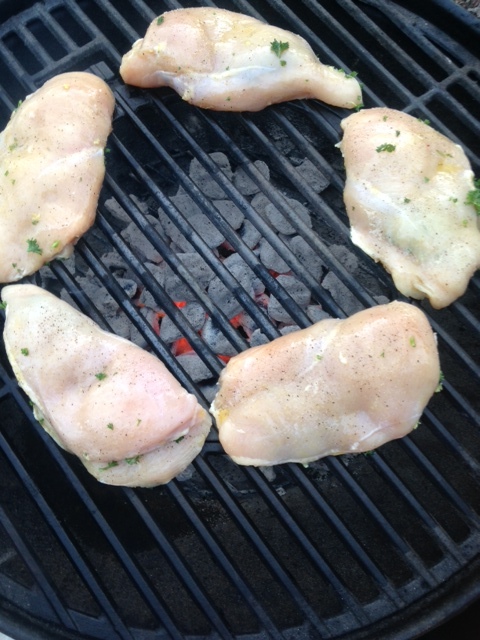 Place onto a hot grill (about 375 degrees), away from direct heat. Cook for 10-12 minutes. Carefully flip each piece. Cook for an additional 5-8 minutes. Enjoy! Happy kick off to grilling season! 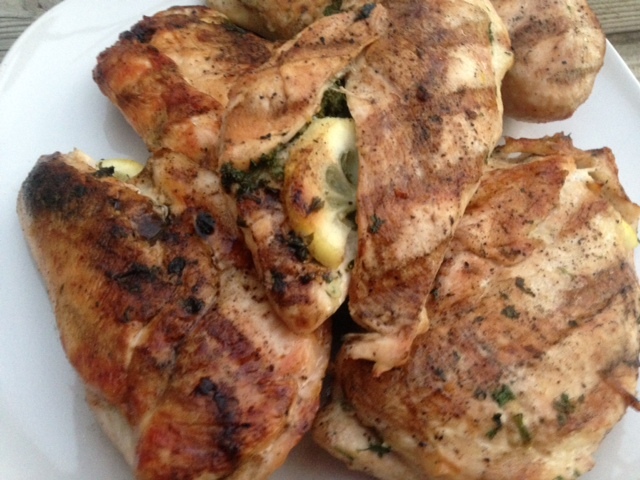 Tags: basil, cilantro rice, diabetic friendly recipe, food, garlic, grilled chicken, grilled lemon garlic herb chicken, healthy chicken recipes, healthy lemon chicken, herb, lemon, parsley, recipes, thyme. Bookmark the permalink.